Copyright law, to be sustainable, calls for a balance. Under copyright law, creators receive exclusive rights to allow or prevent others from making copies of their works for a limited time as an incentive to create. Users receive benefits from the results of the creator’s labor, perhaps through watching, reading or listening to those results. Users may also benefit pursuant to a license to use the works in other ways. Eventually the works fall into the public domain, allowing further reuse by everyone. Graffiti Artist Drawing Graffiti on Wall. There is no ambiguity in the law as to whether graffiti “deserve[s] the safeguards of federal copyright law”; it does. The moment the artist (California-based Jason Williams a/k/a Revok) painted the wall, an exclusive right to the work (but not to the wall) came into existence. That he had no permission to use his “canvas” is immaterial, as is his use of a pseudonym. In fact, pseudonymous works are expressly covered under U.S. copyright law. H&M infringed Williams’ copyright. However, that does not end the inquiry. It starts the inquiry. People sometimes refer to fair use as a “right.” It is not. Free speech is a right. Fair use is an “affirmative defense.” An affirmative defense is something that excuses otherwise actionable behavior. In other words, without an infringement, there is no fair use. Fair use can be ambiguous. There aren’t finite rules. Lawyers might call its application “fact-determinate.” In layman’s terms, the same act might be considered fair use or considered infringement depending on different circumstances and the specific facts of the case. U.S. courts have a long history of wrestling with these sorts of circumstances, and the inconsistency within decades of interpretive precedence is why I generally oppose transposing U.S.-style fair use into other countries’ legal systems. Applying this line of thought to the case at hand, if H&M had been able to determine Revok’s actual name and had an opportunity to contact him for permission to use his art, but failed to do so, I’d come down on the other side — I’d see H&M as owing the artist a lot of money. In fact, early in my career, I advised on a similar case. A car company used street art as backdrop in a situation where the artist was known and easy to reach. The company (actually, its agency) made no effort, and paid the consequences. Here, H&M tried to get permission but, given the surreptitious nature of the painting and pseudonymous nature of the work, unsurprisingly failed to find Revok. So, they shot the photos in the park. 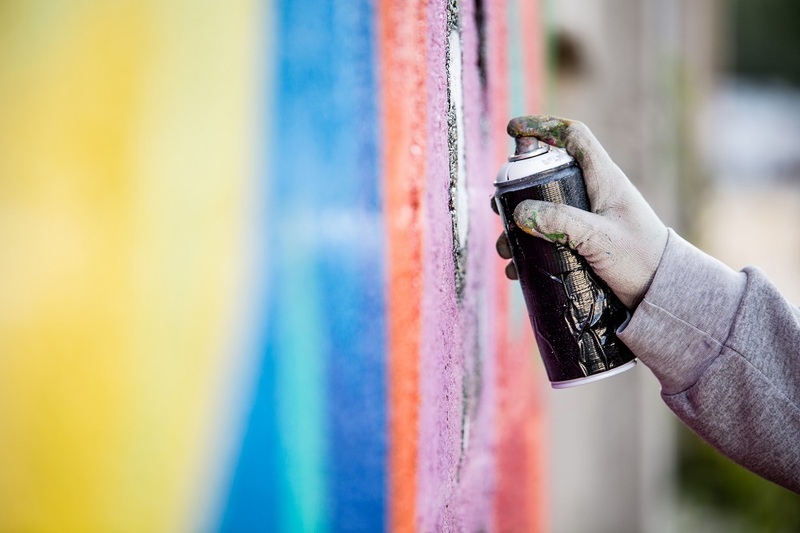 Bottom-line: Had Revok included contact information on his work, the inquiry would be different (as would have been the work; street art admittedly does not lend itself to that degree of openness). When commercial entities wish to use art in advertisements, they should be expected to acquire permission if possible, and when permission is impossible, it is right that fair use come into play. "In Defense Of Fair Use" by Intellectual Property Watch is licensed under a Creative Commons Attribution-NonCommercial-ShareAlike 4.0 International License.